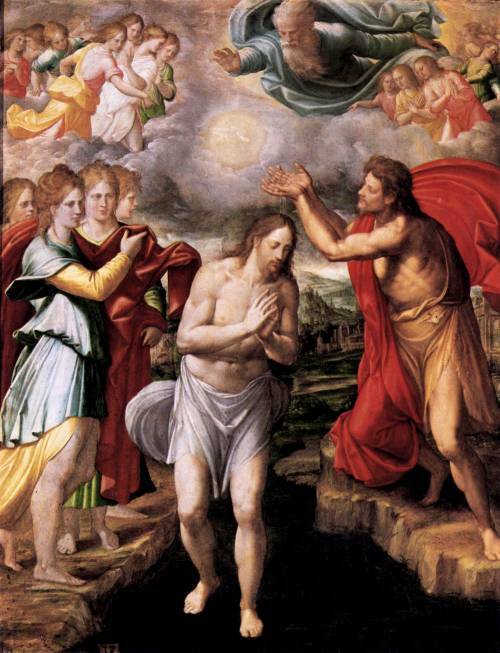 After Jesus’ baptism, the Holy Spirit descended upon him, and a voice came down from heaven proclaiming, “You are my Son, the Beloved; with you I am well pleased.” Now I can’t prove this, but I imagine that something similar happened at your baptism. Maybe no one heard God’s voice. Maybe no one saw a divine dove. But I believe that God spoke words of acceptance and approval at your baptism, and I believe that the Holy Spirit descended upon you and spiritually anointed you. 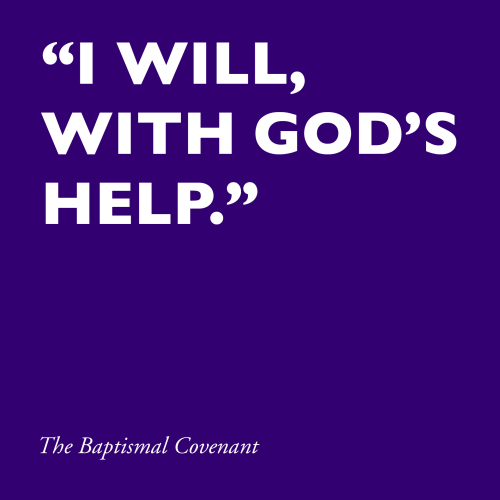 After this sermon, we will stand and recite the vows of the Baptismal Covenant. We start out by renouncing the powers of Evil and by proclaiming our solidarity with God the Father, God the Son, and God the Holy Spirit. We then promise to manifest that solidarity to the world by our words and deeds. Five times I will ask you a question concerning your commitment to live a righteous life. And five times, you will give the same response, “I will, with God’s help.” The second part of that response is a humble admission of our human weakness. For the truth is that we are not strong enough to keep those five vows without God’s assistance. Now, if you will recall, in the Collect of the Day, we prayed for two spiritual gifts from God. The first is for God’s help in keeping our baptismal vows. And the second is for God’s help to “boldly confess [Jesus] as Lord and Savior.” Now, if we are honest, how many of us really want the gift to “boldly confess Jesus as Lord and Savior”? Wouldn’t we really rather have the gift of never having to boldly confess our faith to anyone at any time? Well, folks, boldly professing Jesus is a small part of that high cost of baptism I mentioned! Let me tell you a little story. Last year, on May 26, to be exact, Mathew and I were on the banks of the River Jordan with a group of pilgrims from Grace Cathedral. Our guide had promised to take us to a place on the river where we would be able to renew our baptismal vows in private and then to be sprinkled with water from the same river where Jesus was baptized. It sounded delightful! Well, as it turned out, that private spot was not so private! When we got there, there was a group of Jewish campers sunning themselves by the side of the river and swimming in the cool water, accompanied by music from a boombox. After a few apologies to the campers by our guide, we proceeded to renew our baptismal vows in public. Looking back, I realize just how easy it would have been to cancel the event out of sheer embarrassment. I suspect that a majority of the pilgrims would have been relieved. My sense is that many of my fellow pilgrims were embarrassed, if not actually ashamed, to stand by the river in the presence of non-Christians and to proclaim their faith in Jesus. But I am ever so grateful that we did not, in fact, cancel the event, that we gathered up the courage to stay put and to say aloud in the presence of strangers, “I believe in Jesus Christ.” I don’t know what those Jewish campers thought of our declaration of faith. Maybe they thought we were fools or fanatics. But just maybe they heard our promise to “respect the dignity of every human being” and came to have a bit more respect for Jesus and his followers. Today, we will stand together here in this Christian place of worship, far from the River Jordan, and we will renew the vows of the Baptismal Covenant. Later this day, we will go out into the world one by one and try our best to live out those vows. And someday, I predict, in a time and place of God’s choosing, we will each be asked to stand up and to proclaim, without shame or embarrassment, the most basic of Christian creeds: “I believe in Jesus Christ.” I pray that, by the grace of the Holy Spirit, each of us will respond to God’s call when it comes and boldly confess our baptismal faith. Amen. © 2019 by Darren Miner. All rights reserved. Used by permission.